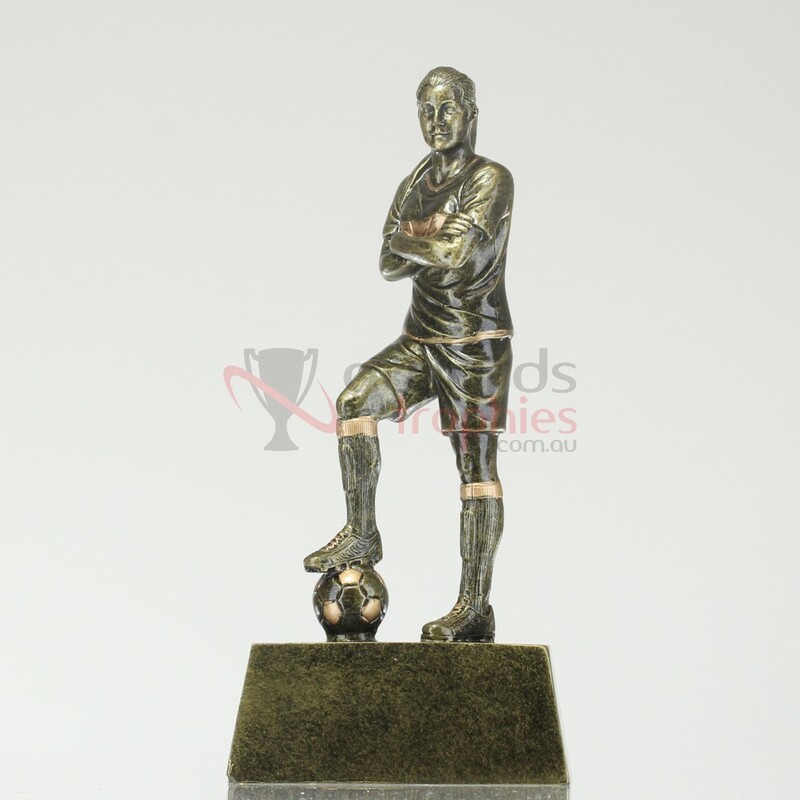 Award the next Socceroos player in your club with this fantastic antique gold resin trophy. A player stands proud with a soccer ball underfoot. 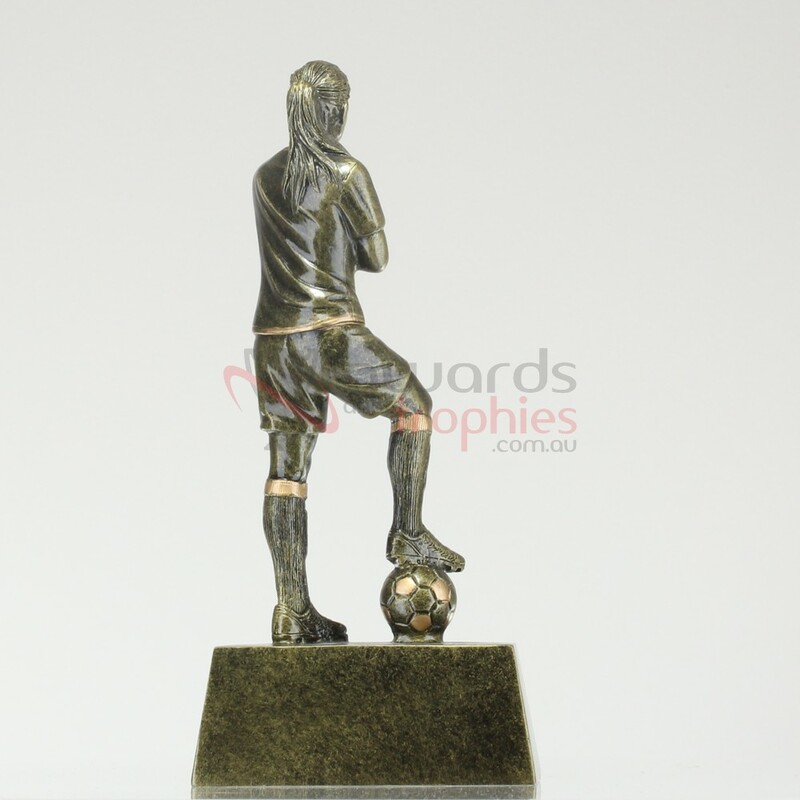 This football trophy would make a great 'Best & Fairest' or ‘Most Goals’ award.